Most Favored by the Most High . . . Girlfriend, we get it ALL!!! Today a reader from India pulled up five different posts. I’m praying that whatever she was looking for she found HIM and she brushed spirits with His Word and His Love. More than any other message you might get here at Glimpsed Glory, I so desire for you to walk away knowing that you—no matter where you are on the globe—are secure, significant, and accepted by the Lover of your soul. His attention and His affection are part of our shared heritage regardless of where He has placed us geographically. 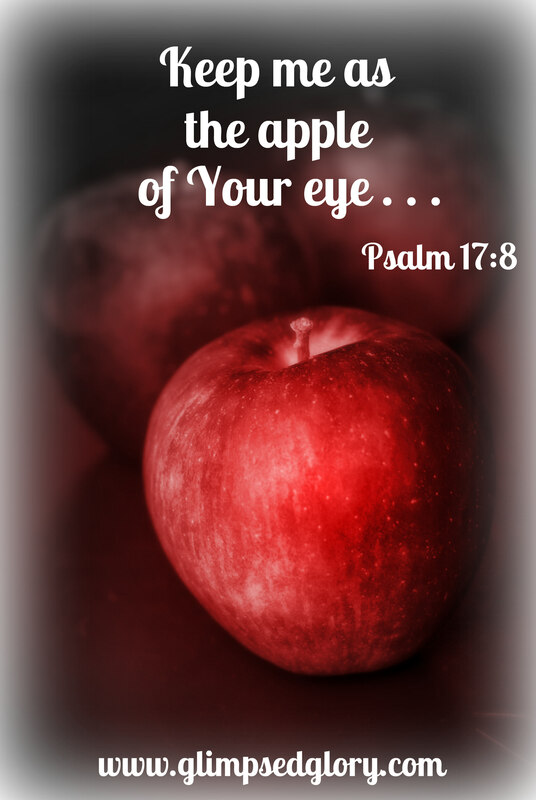 You, Sister, are kept as the apple of His eye! It seems to me that while there are many things that will change when we step into Glory, our status as God’s favored daughters is not one of them. I don’t have a handle on the enormity of it and I don’t have the words to fully articulate it, but I am certain that I am favored by God and so are you! I know this to be true, not because of my thoughts, but because of the Messiah’s . . .
Could you or I ever know more favor or be more loved than to have the perfect love the Father has for the Son fall on us? Could there be greater confirmation of our worth than to hear the Savior’s desire that we be loved so lavishly? What more esteem could we hope to possess than what we receive when we are clothed, indeed hidden, in Jesus Christ? And as is always the case with our God, He does not stop with a Word. He puts His heart and His intention for our good on display for the entire world to see. He makes a public declaration that He has summoned us by name and we are His . . . and Sweet One, the “what” He does reaches straight into the heart of Who He is . . .
Scripture records the heart of God, the Cross reveals its Truth, and the Empty Tomb declares the victory. And we who believe, we will live His heart’s reality in Glory. Beloved, do you not see that His great favor rests upon you because you have been redeemed by the Son and now look forward to the concrete expression of your rescue when your faith becomes sight and His favor falls just for you? God’s declaration that He does not show favoritism should never be confused with the idea that He holds something back from us. Based on the authority of God’s Word, that simply cannot be true . . . The Giver of all good gifts blesses with Grace that flows red to every believer and Love that lives eternally in every surrendered heart. But don’t let yourself believe for a moment that God’s ability to favor everyone means the love He has for you is impersonal. That notion simply doesn’t fit with the full counsel of God’s Word. God, who does not change, has always pulled His people up close and done life in real, tangible ways . . .think of Abraham, David, Gideon, Deborah and Samuel. Jesus Christ, who is the same yesterday, today, and forever, walked and talked with Mary Magdalene, Peter, James and John. If God reached into those lives with His perfect love and Christ rubbed hearts with His people in the same personal ways . . . .then it is still true for us today. If God were to love you differently than He loved David, if Jesus were to love me differently than He loved Peter, it would imply that either those we may view as giants of the faith were loved imperfectly or we are. Would the Father who gave the Son and the Son who gave His life suddenly decide to give us less than perfection? I believe that nothing could be further from the truth. So I say again, in God’s economy there is no favoritism because there is nothing more we can receive than God Himself. Girlfriend, we get it ALL! It has been a recent revelation to me that I needed to repent of my insecurity and my fear of insignificance because to continue indulging in the up and down of believing that I am less than Christ has made me . . . is sin. Apart from Jesus there is no good thing in me but praise His Name I am not apart from Him! Once we surrender our hearts to Christ, the Spirit is alive and well within us. We are transformed from the inside out and clothed in Jesus heart-to-toe . . . the old has gone and the new has come. It is unbelief to allow our pasts, our misguided notions and our old ideas of who we are to flourish. 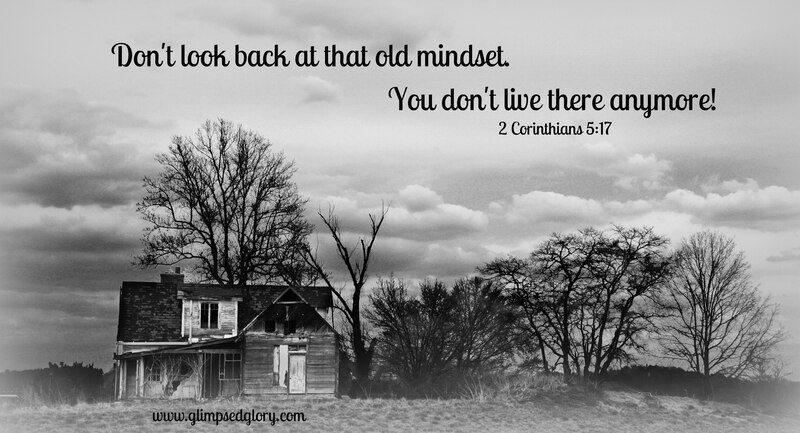 Girlfriend, don’t look back at that old mindset, you don’t live there anymore! You put your beautiful feet in the footprints of your Savior and you stand tall in all that He has made you. Let the truth of the perfect, unfailing love of the Savior wash over you. Delight in your God who calls you to be fully committed to Him because Sister, He is fully committed to you. You, Sweet One, are the Favored Daughter of the Most High God . . . speak, live, and love as nothing less. Love Speaks . . . Do You? —that was the topic of the last post. It hit home with me in big ways and whenever God draws my attention so completely, an exclamation point on His message is usually in my near future. This post was no exception. Loving every chance we get. But, I don’t write much about giving voice, word along with deed, to the lost about their need of Jesus Christ. I’m certain you know the little catch phrase, “If you live a sermon, you never have to preach one.” I’m not discounting the power of a life lived well – to glorify God and increase the Kingdom–but I am wondering, if maybe like me, you may have used this particular mindset to excuse yourself from sharing the gospel with those who need desperately to hear it. Most often the people who need to hear it from us are those closest to us because they’ve seen our transformation. They know who we were and can see who we are, but many times those are the ones we’re most afraid to speak the Truth to. There is so much to lose, they may reject Him, and what terrifies us is they may reject us as well. We can quote the verses all day long about blessed are those who are persecuted because of My Name when we are at arms length from the thing but when it’s up close and personal I have to think that the hurt of separation is still going to sting. We can talk about how the division that Christ brings in many relationships shouldn’t take us off guard because He tells us in His Word that mother and father will be split from children and brother will forsake brother on account of Him. Well, it might not take our intellect by surprise but our hearts may be another matter altogether. But, even knowing these things, for me the time for deed alone has ended. For me . . . The fruit in my life, the fruit in your life, can’t authenticate a thing if I don’t give voice to the Who I believe in. Our deeds can never match our words if there are no words. One of my prayers for this year has been to . . . .
And He is answering by gently pulling back the veil so that I am able to see the areas I am still shrinking back in. I too often let the fear of man set my path, choose my words, restrain my love. Because true love . . .
Christ-like Love will risk me to reach them. Our Jesus has withheld nothing of Himself. He gave up His heavenly home, put on earthly skin, and came to walk among us. He wasn’t concerned with His comfort. He was concerned with us. He lived in unbridled holiness and Love on this planet and endured hostility, rejection, and in the end, humiliation as the soldiers mocked and spit upon Him. He was not consumed with Him. He was consumed with us. He died the unimaginable death, on full display while they continued to taunt Him, “if you are who you say you are . . .”, “If you really are the Son of God” . And still, He was not focused on vengeance. He was focused on forgiveness. 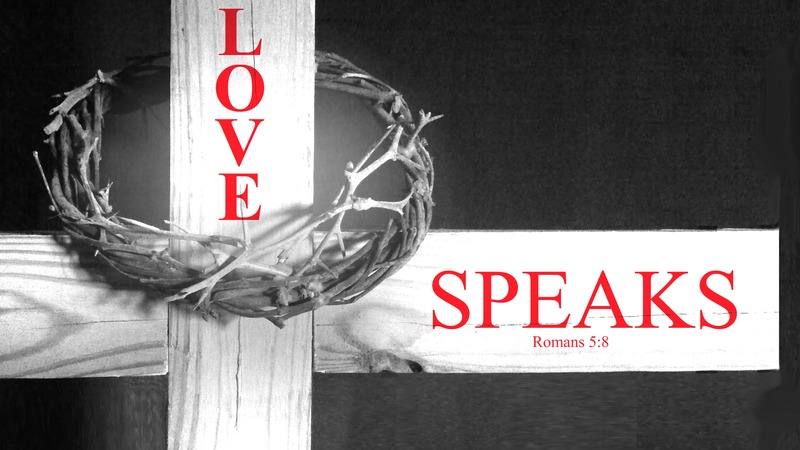 Sweet One, Christ lived love out loud – but He spoke Love as well. His actions matched His Words. The fruit of His life authenticated every holy utterance. To Love Like That – I must do the same. To Love Like That – You must do the same. Live it out to be sure – but speak the Truth. Share the gospel. Love the ones you love enough to tell them that they NEED HIM. I’m afraid if we allow the fear of separation and rejection to keep us quiet then we will risk the ultimate separation when our time on this planet is done. Love was offered knowing rejection would be the response. Love was given feely. No strings attached. No demand for love in return. Because here’s the stunning truth, even those who have not repented in their hearts, confessed with their mouths, or professed love for God, well, they are still loved by God. Are they saved? Absolutely not. But are they loved? Absolutely. His desire is for them to come home. He created us for complete love fellowship with Him. He wants us to realize the depth of our lost sin condition and accept the Gift of Grace who wore flesh to save us. That is Love. He is Love. Long-suffering, compassionate, Love. It isn’t what He does. Love is Who He is. The hard question then is . . . Do I really want to Love Like That? The answer is yes. But I so confess that I’m not sure how. And I am asking God to move every bit of me out of the way and fill me up with every bit of Him. I came face-to-face with what seemed to be a life and death situation with someone I love. I had always thought that if I just lived it out, she would see a difference. I thought it would make her want to know why and how we do life on the Boulevard the way we do in the face of much trial. But Sister, it was not enough. As we drove to the hospital, my heart was filled with regret because I had not spoken. Had I lived? Yes. But had I loved? NO! Because I would not risk me for her. I would not give love freely with no strings attached. I chose caution over extravagance. So I praise God that “There is therefore no condemnation for those who are in Christ Jesus” but in the same breath I confess the sin of fear to Him and ask that He strengthen me of Spirit–not allowing me to continue in the footsteps of self-preservation. So Sweet Reader, I must ask you this, do you know Jesus as your Savior? Have you acknowledged the sin in your life and asked for forgiveness in His Name? If not, do it now. Do not wait. Today is the day of your salvation. 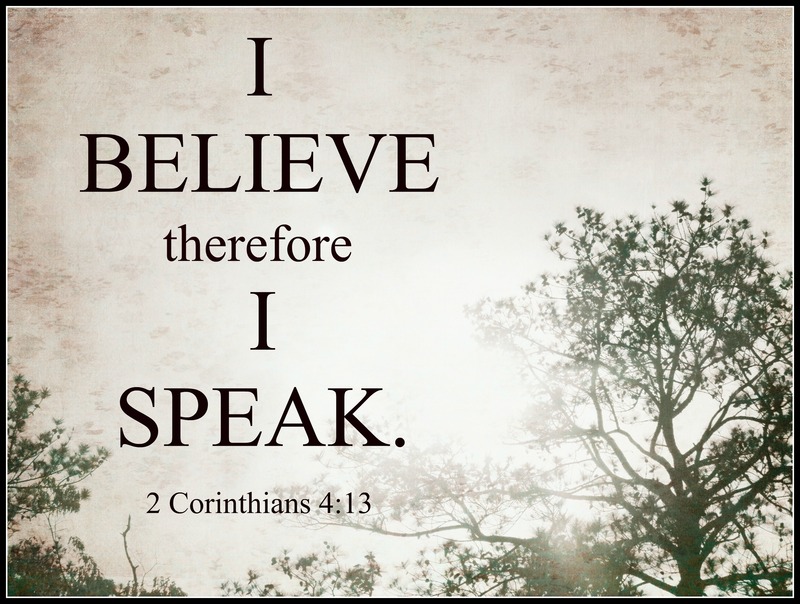 If you confess with your mouth and believe with your heart you will be saved. There are no “official words” and you will not find the “Salvation Prayer” in any particular chapter or book of the Bible. Beloved, just talk to Him. Pour your heart out to Him. Confess your need of Him. Be filled with the Love of Him. right now I am saved. Sister, if you’ve spoken that prayer for the first time today, welcome to the Kingdom of Life! Death has no hold over you and the angels of God are rejoicing. Please find someone to tell. Get to a Bible-based group of believers. Study the Word of God. Do not be the seed on rocky soil burning hot for a moment and then quickly snuffed out by the troubles of life. And if this wasn’t your occasion to pray, I’m asking God to bring a great cloud of witnesses into your life who are not afraid of rejection, separation or the loss of you to share this message with you again. I’m asking Him to convince the ones close to you that it is time to love you extravagantly and confirm for them that it is time to speak. Blessings to you Sweet Sisters around the world. May His Love give the gentle boldness we need as you and I go forth in His Name and may we speak.